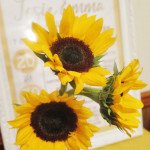 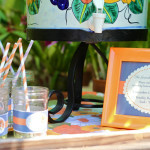 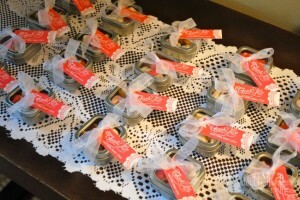 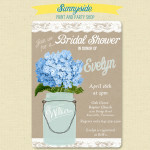 I am so tickled to be part of a beautiful bridal shower styled by Double the Fun Parties! 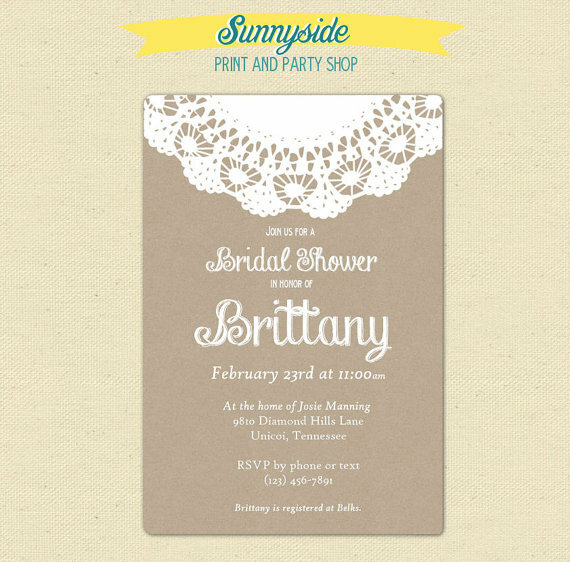 Jennifer contacted me about designing our “Vintage Kraft and Lace Doily Invite” (shown below) in a custom color, along with a few other printed items. 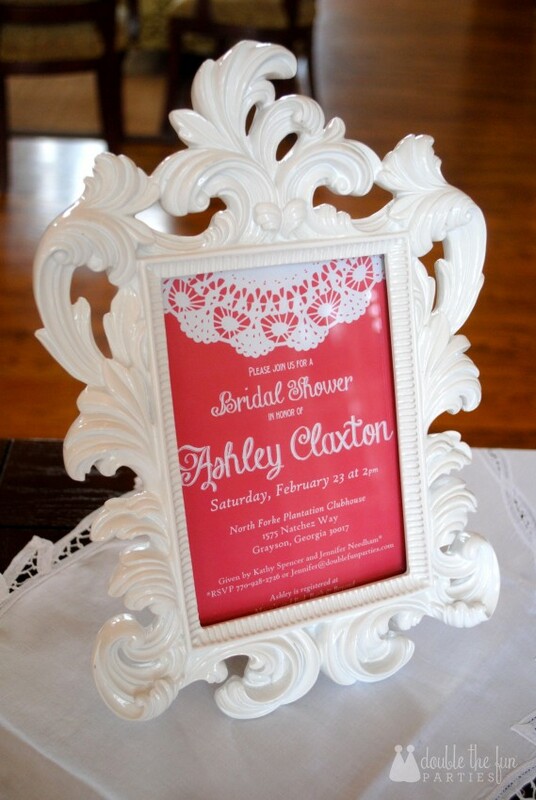 Here is the final invite, love that white frame! 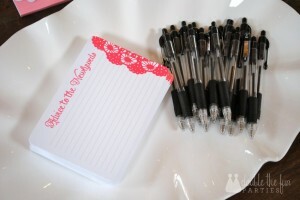 Newlywed Advice cards – Such fun for the shower guests and creates wonderful keepsakes long after the special day has passed. 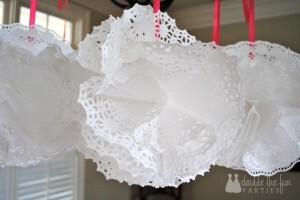 Love the lace doilies and vintage touches! 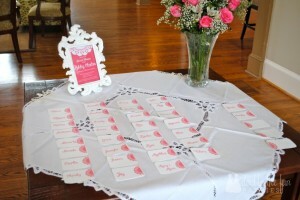 Name tags — great idea when bringing two families together for the first time!